Academy Award-Winning Production Designer; Best Known for Beyonce's "Lemonade" and Marvel's "Black Panther"
Beachler grew up in Centerville, Ohio and graduated from the University of Cincinnati studying fashion design. She attended Wright State University in Dayton, Ohio where she studied film. She first collaborated with director Ryan Coogler on 2013's Fruitvale Station and this led to Coogler contacting her to work on Creed's set. Fruitvale Station, covering the shooting of Oscar Grant, was filmed on a limited budget and required Beachler's creativity to come up with low-cost ideas; she used her own Bay Area Rapid Transit card that is seen in the visor of a car Grant is driving. For Creed, Beachler watched the first four Rocky films for inspiration. She was responsible for designing Front Street Gym that appears prominently in the film. She visited a number of gyms across the United States, but particularly in Philadelphia where the film series is based, in order to get a good idea of what the set should look like. She designed the entire gym including the professionally sized boxing ring, and her plans ensured that cameras could get a 360 degree view of everything. For the outdoor scenes in Miles Ahead, Beachler searched through numerous photograph archives to accurately capture the scenes in New York City from the 1950s to the 1970s, but ultimately took inspiration from some silent film shot from a car window, that was posted on YouTube decades later. She used no stage shots in the entire film; the set of Davis' home was a disused church in Cincinnati that was gutted and renovated to resemble a multi-layer house including a basement recording studio. Beachler also worked as the production designer of the iconic visual album "Lemonade" by Beyonce, the Academy Award-Winning Film Moonlight, and the upcoming Marvel film Black Panther. 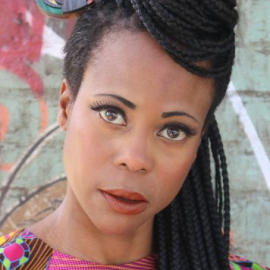 "Moonlight" and "Black Panther" production designer Hannah Beachler has turned professional connections into booming career. 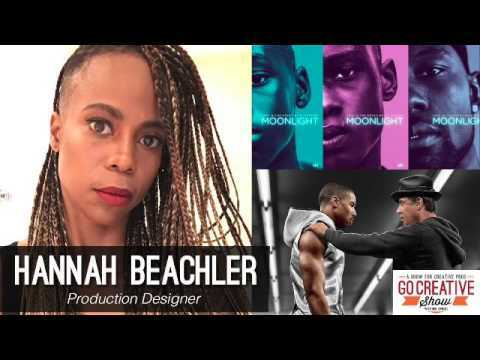 Production Designer: Hannah Beachler. Short Format: Web Series, Music Video or Commercial: iPhone 7: “Balloons” Production Designer: James Chinlund.